EcoLogic was part of an interdisciplinary team tasked with examining the feasibility of using naturally cold lake water to chill businesses and industrial facilities in Central New York. Our role was to integrate the analysis of the ecology team, led by the SUNY College of Environmental Science and Forestry, and the engineering team, brought together by Stearns & Wheler/GHD. We evaluated existing information regarding the physical, chemical, and biological attributes of two source water systems, Lake Ontario and Skaneateles Lake, to assess potential impacts and mitigating measures associated with a deep water withdrawal. 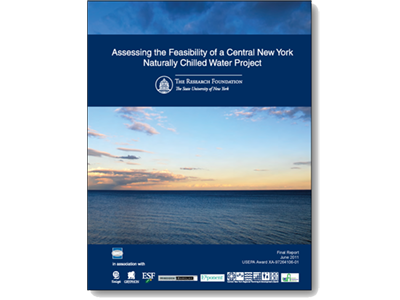 Visit the Central New York Regional Planning and Development Board website to read the final project report, Assessing the Feasibility of a Central New York Naturally Chilled Water Project, June 2011.